Our Walk In Video Booths or ‘Diary Rooms’ can be custom designed to each client’s exact requirements in terms of size, design, functionality and budget. 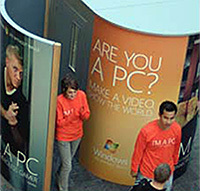 We produce video booths for both permanent and temporary installations. 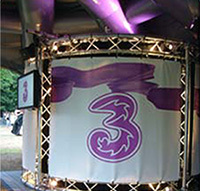 Our previous solutions have ranged from fully themed ‘Broadcasting Booths’ with chroma-key special effects to portable ‘cinema review’ pods to tour the country. Our exclusive VideoBooth control software and hardware allows us to produce fully automated Video Booth solutions which require no operational staff. Our video booths can also be monitored, updated and adjusted by you remotely without the need for repeated visits to your installed location.